Not all the information you need has to be manually entered by your app’s users. You can use calculations to transform your data and get up-to-the-minute insights about it. For example, in the sample app it would be useful to know how many times a client has visited the clinic. You can create a calculation that keeps this count for you and updates it automatically with each new visit. But you can do much more with calculations. They can give results in formats such as numbers, text, or dates. This means you can manipulate the data in text fields or do arithmetic with dates — for example, to derive someone’s age from their birth date. You just need to tell the calculation what to do, and what kind of result you expect. Calculations are part of the logic of your app. Any calculation you can do on behalf of your users gives them more time to focus on their work. Beyond a numeric calculation, try to think of where your users may have to do any routine data manipulation (such as combining First and Last Names to make a Full Name) — that is a good target for a calculation. 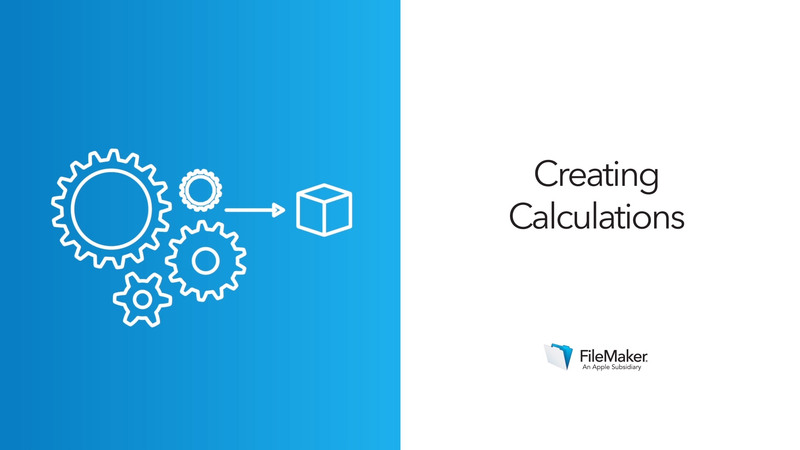 Create and view calculations in the following activity.